Good news, everyone! 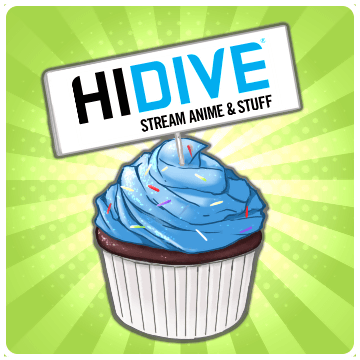 Starting today, HIDIVE is in a mobile game! 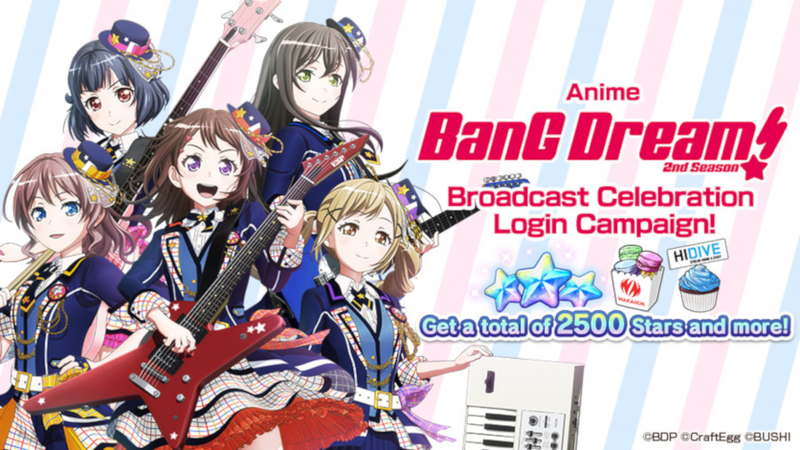 That’s right: BanG Dream! Girls Band Party! has launched a special event to commemorate the franchise’s second anime season, and invited us to help celebrate! Woo! Behold the cupcake in all of its glorious majesty! Look at it. LOOK AT IT! Not only are cupcakes delicious and a dessert staple, but this particular one is a powerful recovery item, too. Why? Two words: Live Boosts. For those of you not familiar with the game, Live Boosts are reward multipliers. Although your performance when playing songs determines your rewards, you’ll get MORE of them if you decide to use a Live Boost. That said, you CAN choose to play a song without using one. Typically, you can only recover Live Boosts by purchasing them using your stars, a boost drink, ranking up or just through good ol’ fashioned waiting. But now this limited-time item gives you a temporary fifth option: This FREE cupcake will recover 10 Live Boosts. Yeah, you heard us right: 10 Live Boosts. And unlike real cupcakes, this one doesn’t have an expiration date. Once you snag this sugary confection, it’ll remain in your inventory until YOU decide to use it. Since the last time we reviewed this game in April 2018, the developers have been hard at work adding new stuff to the game! With new character variations to collect and over 90 different songs to play, you’re certainly going to have your hands full! But one of the most prominent features the game added was “Live Theme Settings” in the v2.4.0 update, which gave players the option of customizing the playing arena itself! For more information, check out the following video. We don’t know about you, but we consider choices a good thing. With thousands of reviews and with an average score of 4.7 on Android and 4.8 on iOS at the time of this writing, BanG Dream! Girls Band Party is the perfect game for any BanG Dream! fan! You should head on over to the game’s website and give it a try!